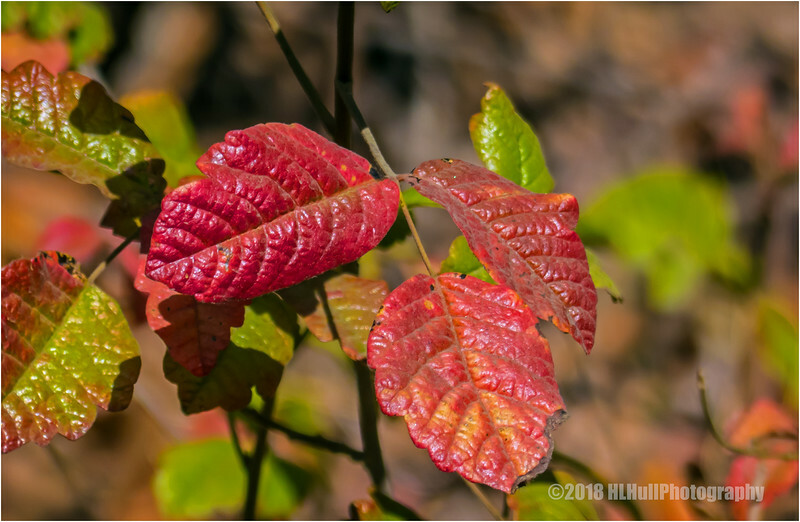 When I first saw your image, before I read your title, I thought, "that's poison oak!" and hoped you zoomed in a bit and didn't arrange the leaves with your bare hands ;-). Then I saw your title, and knew that you knew. It does turn a very pretty red this time of year---at least it makes it easier to notice and avaoid.